Laura Love has an uncanny knack for getting an audience to listen. Today she is beloved by fans around the world for her funk-folksy music. But Love's life wasn't always so good. Growing up in racially troubled Nebraska, Love survived a miserable childhood, shuffling among a mentally unstable mother, foster homes, and orphanages. Despite the odds, Love survived, thanks ultimately to her enormous will. You Ain't Got No Easter Clothes is Love's wrenching, shocking, yet hopeful story of the survival of a deeply rooted, but broadly cultured woman. Laura Love is a singer, songwriter, and bassist who performs to great acclaim around the world. She has released nine CDs, most recently You Ain't Got No Easter Clothes (KOCH Records, KOC-DC-9553), a compilation of songs related to this book. Her music draws on a variety of traditions, including the blues, bluegrass, jazz, gospel, reggae, and country, but she often refers to her pastiche style as "folk-funk," "Afro-Celtic," or "Hip-Appalachian." She lives in Seattle. 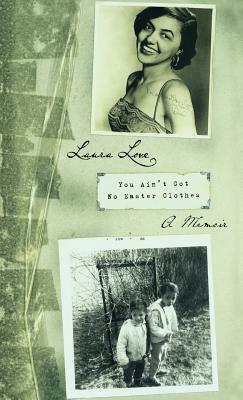 All of Laura's CDs can be found at www.LauraLove.net and at retail outlets where fine CDs are sold.